Catholic schools are centred on the person of Jesus Christ and are called to live and proclaim the message of the Gospel. Supported by, and in collaboration with, the Catholic community of which they are a vital part, Catholic schools encourage staff, students and their families into a personal relationship with Jesus, challenging them to find, through Him, meaning and value in their lives. The school is an integral part of the Parish and Pastoral region’s program of outreach to Catholic families. Enrolment in a Catholic school enables the local Catholic community to offer support to parents in the faith education of their children. In addition, Catholic schools contribute significantly to the Australian community by promoting quality education and a just and tolerant society. Does my child need to be Catholic to attend St Columban’s? No. St Columban’s is open to all who want to share its educational goal, inspired by Christian principles. In accordance with our school’s enrolment vacancies, preference is given to students who are baptised Catholic and who live in the local parish. However, our school is open to all who wish to be guided in their education by the principles and teachings of Christ. All families and their children, Catholic or non-Catholic, are invited to have a Catholic education but must be willing to participate in the religious life of the school. When is the enrolment period? St Columban’s accepts enrolments at any time of the school year, however the official enrolment period for the following year is during Catholic Schools Week each March. We encourage enquiries about availabilities should you wish to have your child attend our school midway through the year. What is the enrolment process? Once an application is received, it will be placed onto the waiting list for that year group and will be reviewed in line with other applications when a position becomes available. A small number of places in schools in the Diocese of Maitland-Newcastle may be available to students on visas who share our Catholic faith and ethos. At the present time, no students with a visa subclass 500 are able to be enrolled into diocesan Catholic schools. For more information, please see the Enrolment of Students on Visas Policy. 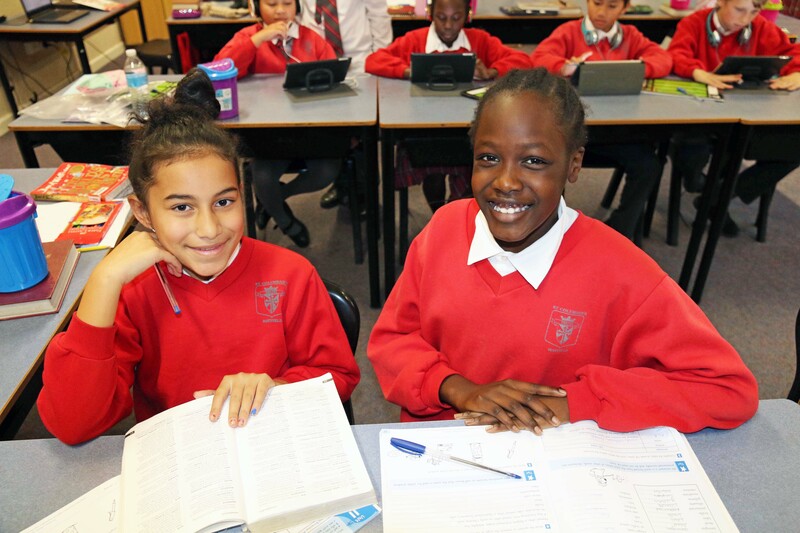 St Columban’s follows the guidelines provided by the Catholic Schools Office Enrolment Policy. This Enrolment Policy has been devised in order to accommodate the needs of families seeking a Catholic education. It aims to set direction for school procedures and practices for enrolling students into Catholic primary and secondary schools within the Diocese of Maitland-Newcastle and to establish a common, consistent approach in enrolment practices and assist the system of Catholic schools to provide schooling, where possible, for all Catholic children who seek enrolment, cater for the individual needs of each child equitably within the constraints of the available teaching and material resources and to encourage parents enrolling their children in Catholic schools to give support to parish and school life, especially in education in faith.